Welcome to Play Roulette. I'm your host, Ricky Roulette. Of course, "Roulette" is not my last name, but it's what all my friends call me anyway due to my addiction to the game of Roulette. I just can't get enough of it. I've been playing it in casinos since I was legal to enter, and I've been playing online roulette for years as well. I'm always helping my friends out with roulette and busting my roulette knowledge on them. Whether it be explaining the bets or simple etiquette(No, you CAN'T sit your rum and coke down on the table!) to getting the best out of playing roulette. The best betting systems to use, the best online casinos to play roulette at. They're always suggesting I write a book but c'mon - it's 2017, who the hell reads books these days? Nah - instead I've created this awesome interactive website for you purely dedicated to the game of Roulette. Browse around and you'll learn everything you wanted to know about roulette - detailed information about all of the betting systems, the best online casinos to play roulette at, and of course the wild variations of games you can play online. As you can see, along with the featured games I also list the latest game reviews. I'm always reviewing all of the latest Roulette games out there as well as online casinos - always from a roulette perspective. Who gives a damn if they have Keno??? Be sure to check out our Roulette Games Library, my own Personal Casino Reviews, a Roulette For Dummies section for all you new Roulette players, and my Roulette Strategy Corner which goes through all of the different betting systems. I offer a wide variety of details on here for everyone looking to play roulette. 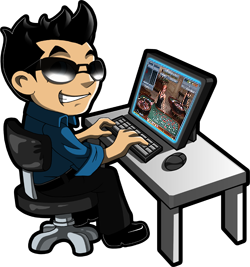 Whether you want to play roulette online or play roulette offline. If you're looking for free roulette games then I cover a wide variety of them. From Marvel Roulette to 3D Roulette I have it on here. If you just need a breakdown of roulette bets or whatever - I've got you covered.